We are an independent wealth advisory firm located in Annandale, New Jersey, helping successful individuals and families pursue their long-term financial goals since 1980. Our mission is to help clients remove the complex financial barriers in their lives and give them the confidence to pursue their greater personal goals and ambitions. Simply, we want our clients to gain financial peace of mind. For current clients, our website will give you links to access your accounts online through Investor360°®, and provide direct e-mail contact (but you should always feel free to call us!). You can also access up-to-date information about the investment markets and find many useful financial resources to help you. We've also created this website for those not currently acquainted with Economic Concepts so you can get to know more about us. For everyone, we hope you enjoy your online visit and welcome the opportunity to speak with you. We do not charge fees for our initial meetings with prospective clients. We believe that first meeting is an opportunity for you to learn about us and for us to get to know you—and discover the talents to establish a solid working relationship. Please give us a call to learn how we can be of service to you. Based on 10 objective eligibility and evaluation criteria, including a minimum of 5 years as an active credentialed financial professional, favorable regulatory and complaint history, accepts new clients, client retention rates, client assets administered, education, and professional designations. 26,955 New Jersey wealth managers were considered for the award; 672 (3 percent of the award candidates) were named 2015 Five Star Wealth Managers. (The criteria provided reflects the most recent year for which advisor received the award. The criteria used, the number of wealth managers considered for the award, and the percentage of those who receive the award, may vary from year to year). 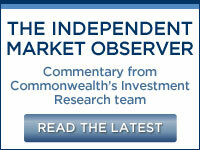 These awards are not indicative of the wealth managers' future performance. Your experiences may vary. For more information, please visit www.fivestarprofessional.com. 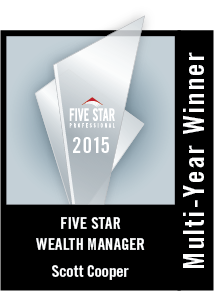 Five Star Wealth Managers for the fourth year in a row. This communication is strictly intended for individuals residing in the states of AZ, CA, CO, CT, DC, DE, FL, GA, HI, ID, IL, MA, MD, ME, MI, MN, MO, MS, NC, NH, NJ, NY, OH, PA, RI, SC, TN, TX, VA, WA, WI, WV. No offers may be made or accepted from any resident outside these states due to various state regulations and registration requirements regarding investment products and services. Investments are not FDIC- or NCUA-insured, are not guaranteed by a bank/financial institution, and are subject to risks, including possible loss of the principal invested. Securities and advisory services offered through Commonwealth Financial Network®, Member FINRA/SIPC, a Registered Investment Adviser.